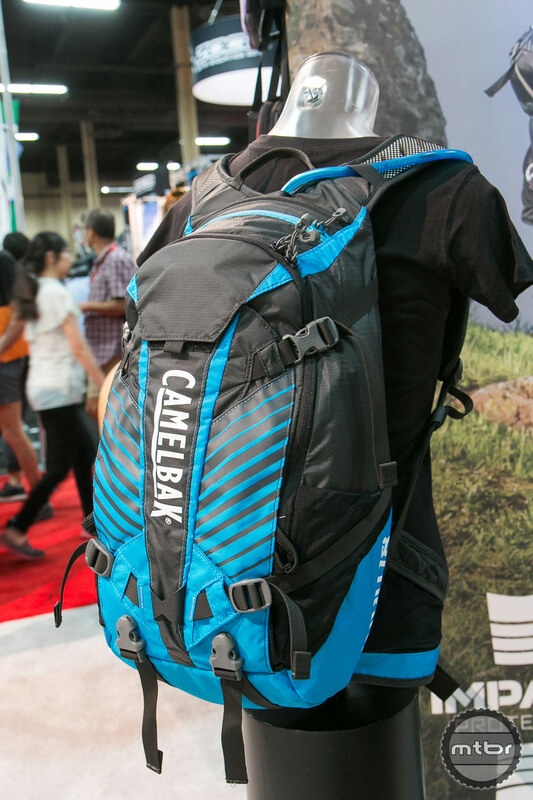 Go “Bak in Time” with CamelBak as they celebrate their 25th anniversary. 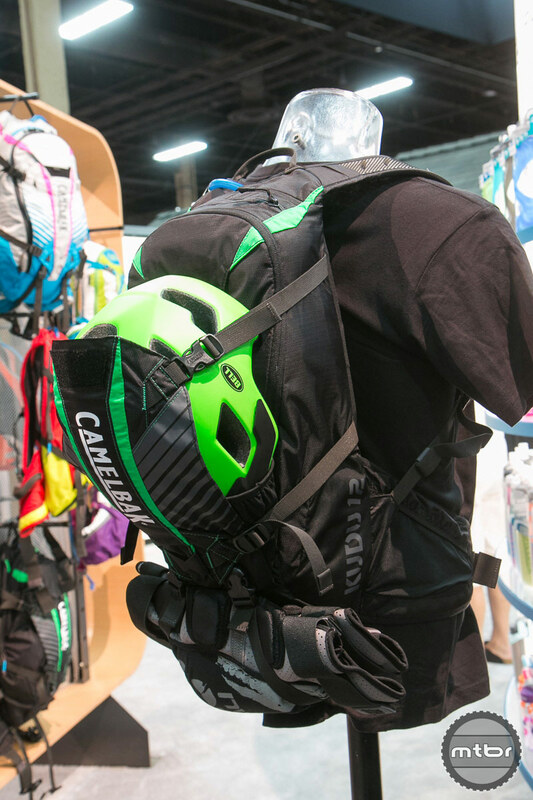 For 2015 CamelBak offers their new K.U.D.U. Impact Protection hydration pack. 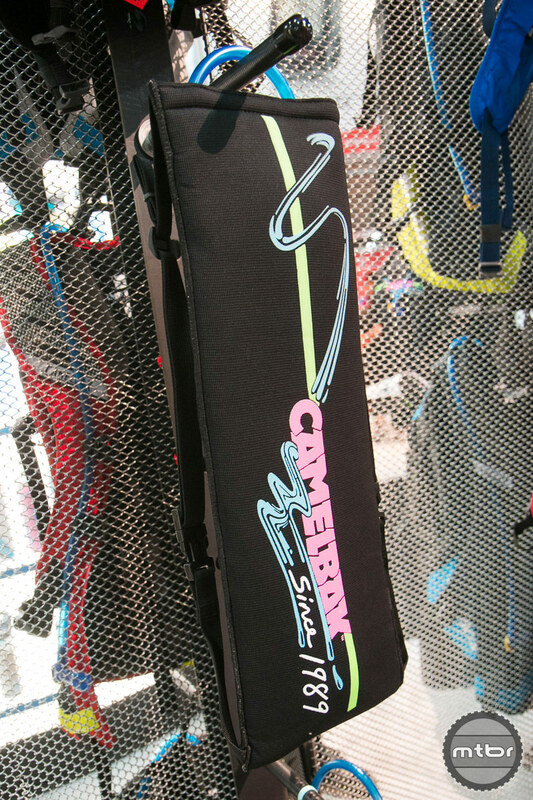 Video: CamelBak introduces the new 2015 K.U.D.U. 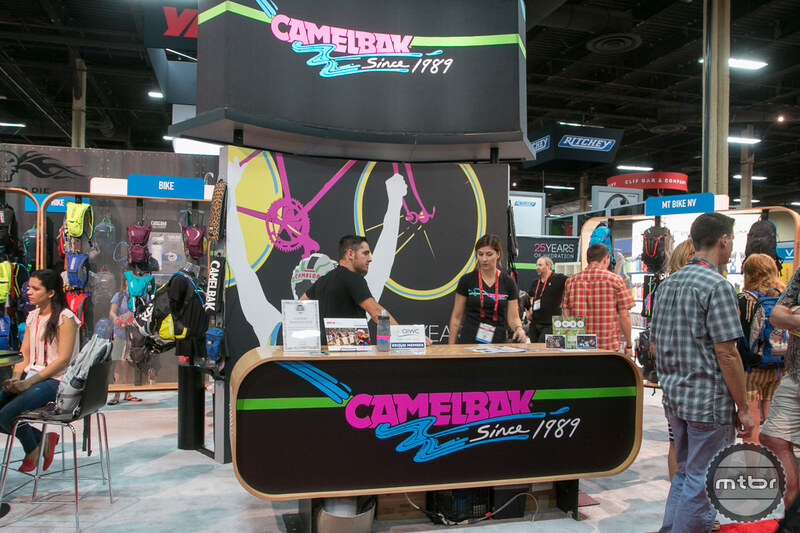 CamelBak goes “Bak in Time” and celebrates their 25th anniversary at Interbike. Kari Kotoff also shows us the new for 2015 K.U.D.U. with integrated Impact Protection and hydration. 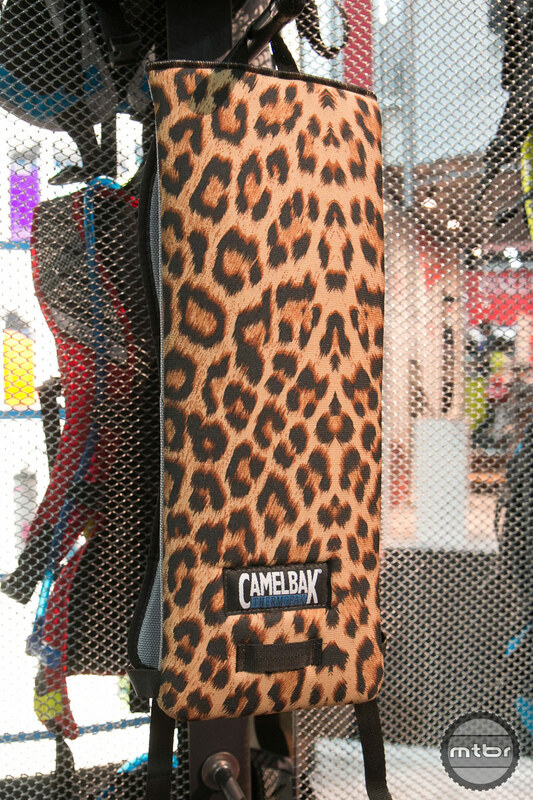 The 2015 CamelBak K.U.D.U. 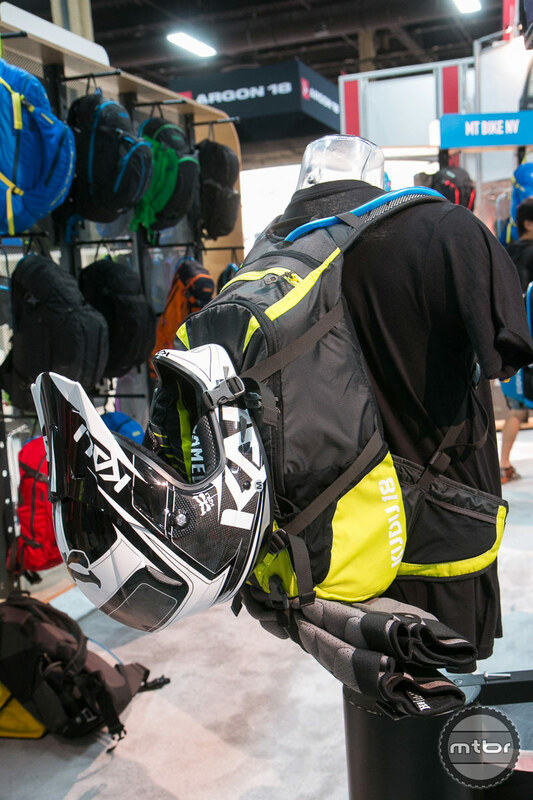 hydration and integrated Impact Protection pack can hold a full face or xc helmet and elbow and knee pads. Other features include a rain fly, multi bike tool organizer, ventilation and a load bearing waist belt. The Impact Protector that goes inside the K.U.D.U. is made of a multi density, vulcanized rubber foam blend. It absorbs over 94% of impact, is lightweight and flexible and exceeds the CE Level 2 motorcycle safety certification. Unique to K.U.D.U. 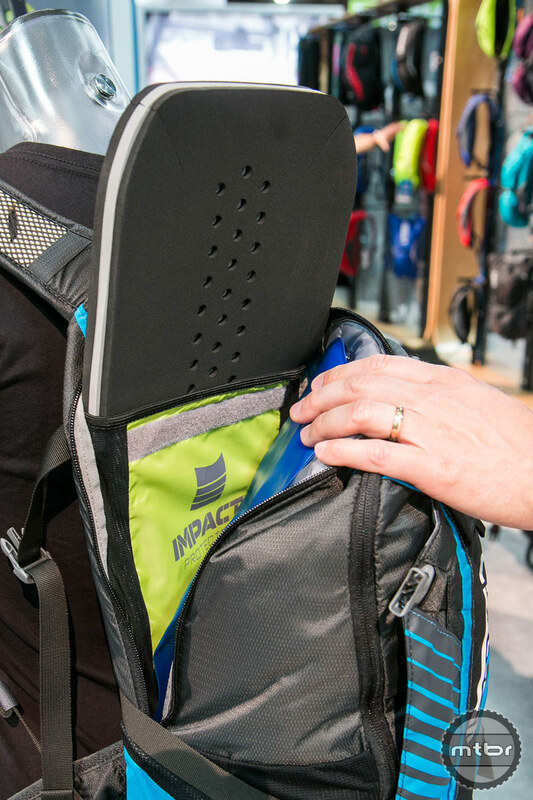 is CamelBak’s Impact Protector which absorbs more than 94 percent of impact and maintains its protective abilities for multiple impacts. 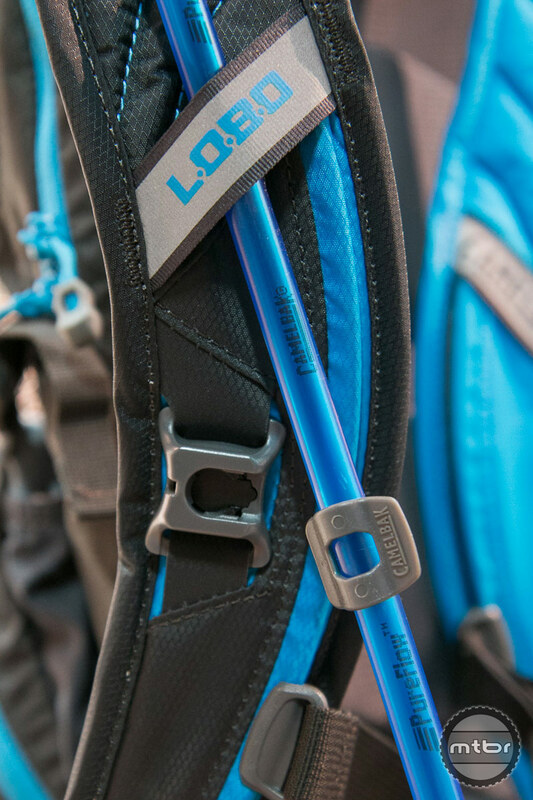 A result of CamelBak’s proprietary, perforated, multi-layered foam, the Impact Protector exceeds CE Level 2 certification of EN 1621-2. K.U.D.U. is equipped with an easy-access sleeve that houses the Impact Protector, and a 3L AntidoteTM Reservoir. Dual sternum straps and a load-bearing waist belt keep the pack secure and stable on the rider’s back. Impact Protector which absorbs more than 94 percent of impact and maintains its protective abilities for multiple impacts. 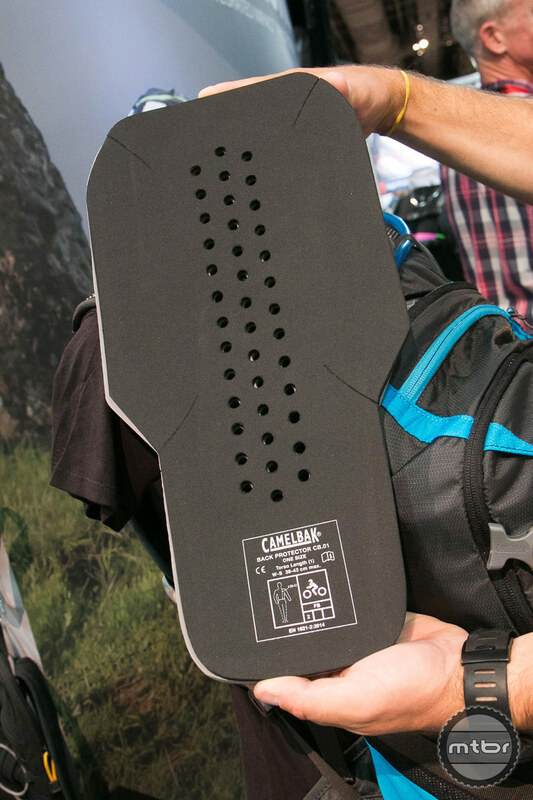 Impact Protector reduces riders’ injury risk for multiple impacts. It's 1988. Bicycle enthusiast Michael Eidson is competing in the "Hotter 'n Hell 100" — a road race in the scorching heat of Wichita Falls, TX. Eidson, an EMT by trade, fills an IV bag with water and stuffs it in a tube sock. Yes, a tube sock. Then he stuffs the contraption into the back of his bike jersey, throws the thin hose over his shoulder and clamps it with a clothespin. And just like that, hands-free hydration is born. I remember seeing the first Camelbaks when I was in the USMC around 1992-93. Our neighbors in Force Recon were procuring them somehow. First thing I thought was. I WANT ONE TOO! LOVE YOUR PRODUCT UNTIL YOU CAME OUT WITH THE NEW BOTTLES. MILDOW IS ALWAYS A PROBLEM WITH THE BOTTLES BUT WITH THE OLD ONES I WAS ABLE TO CLEAN IT OUT OF THE MOUTH PIECE BUT THE NEW BOTTLES…..NO COMMET I CAN’T WASH OR CLEAN THE MILDOW ; PLEASE GIVE ME A SOLUTION…..